Glen Albert Larson must have been ahead of his time when he had the idea for his world famous television series “Knight Rider” in the early 1980s. A lot of men’s hearts probably still beat faster when they remember the times when the black 1982 Pontiac Trans Am together with his partner Michael Knight KITT chased criminals. KITTs instrumentation in the interior flashing in red, yellow and green colours and its “voice modulator” will remain unforgettable for everyone who watched the series on TV. However, at that time hardly anyone could have imagined what is possible today in terms of connected cars. The terms “connected car” or “autonomous driving” are buzzing within the society since a couple of years only. Latest tragic headlines about accidents of course have further contributed to the people’s attention for this topic. Nevertheless, more and more connected-car-projects like the Google Car or the self-driving electric vehicle Olli become reality. Earlier, we already summarized the 2015 milestones and highlights of the automotive segment in a review article. Trade fairs like the Detroit Auto Show or the International Motor Show (IAA) in Frankfurt/Germany have shown many new developments in terms of electric/hybrid vehicles but also as far as connectivity features are concerned. Specific microcontrollers with unique memory architecture and advanced connectivity features for the connected car market were introduced. Moreover, the launch of standards, like ISO16505, for camera-monitor-systems also mean a significant step towards the future of the connected car. The concept of connected cars is closely related to the Internet of Things (IoT). The idea started originally with the realisation of the networking of on-board systems. 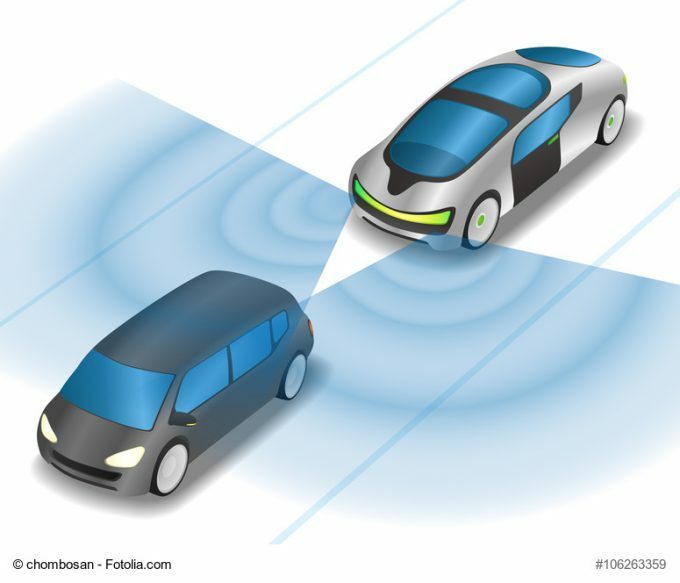 Meanwhile, thanks to the digitisation of the wide range of information generated in the vehicle through networking of in-vehicle systems, the concept developed further to communication of the car with its surroundings. New possibilities for mobility concepts are imaginable. Car manufacturers spend a lot of effort to make vehicles become active participants on the Internet. They claim that, by the year 2020, fifty percent of the cars will be a connected car. 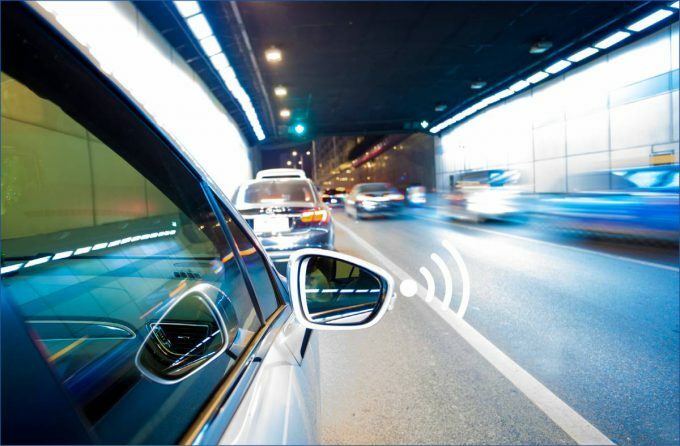 The networking of passengers and vehicles to the Internet, other vehicles and the surroundings, enables new applications and is a prerequisite for new mobility concepts. At the end of the day, autonomous driving is the long-term goal. 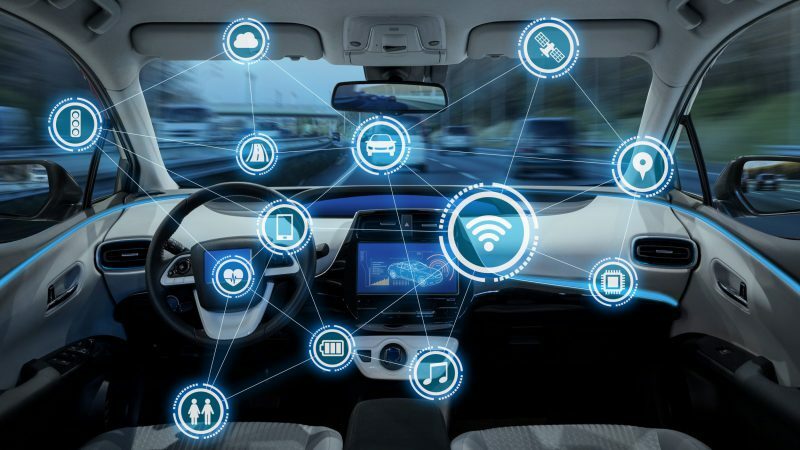 One of the most stated benefits of connected cars is the increasing safety of mobility, which should be realised through an interaction of in-vehicle systems and networking with the surrounding. Driver assistance systems that evaluate traffic conditions are already in operation. Such intelligent systems are able to initiate breaking or illuminate the road without dazzling oncoming traffic for instance. This Car2X communication can be a decisive factor for an increased transport safety in ever more heavy traffic. If there’s the situation when an accident nevertheless happens, eCall (emergency call) is able to deliver the exact position to the emergency services and ensures that help is quickly on its way. Furthermore, through the networking with manufacturers and workshops, remote diagnostic technologies can predict maintenance needs. Costly car repairs could be avoided with the use of new control and maintenance services. 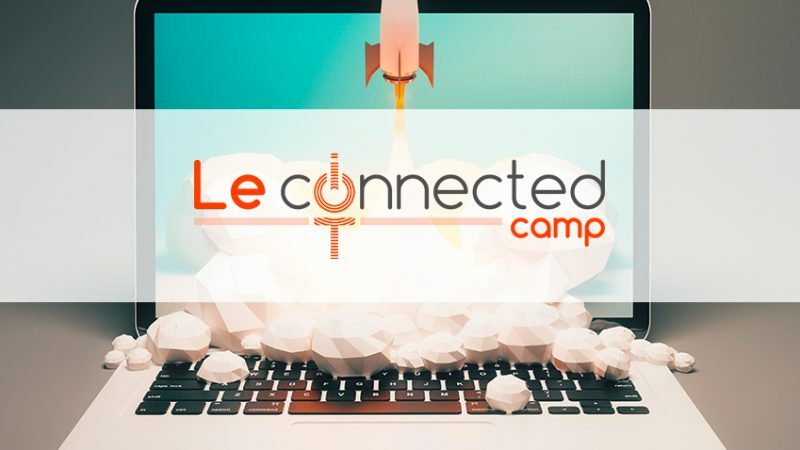 Another example for a networked or connected car application could be “Update Over The Air”, a simple way to update car software which makes costly and time-consuming visits at the workshop obsolete. Connected cars also contribute to a reduction of fuel consumption and emissions, because traffic jams can be avoided or parking spaces can found more easily. What are the systems that make connected cars happen? 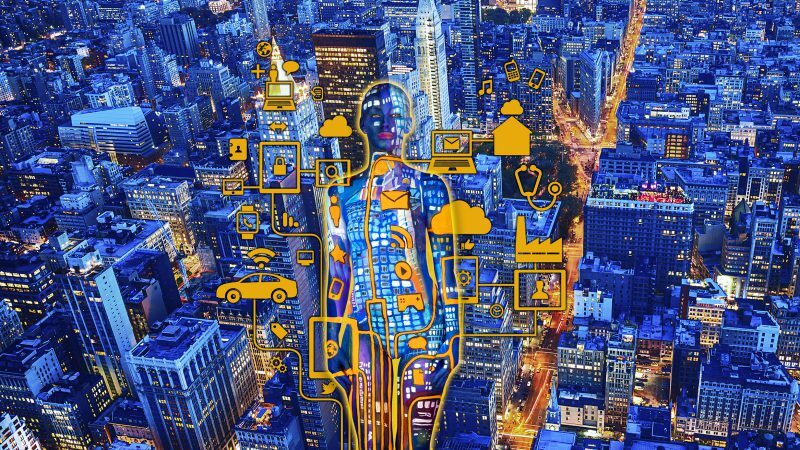 In earlier articles about the IoT we always stressed the importance of sensor technology to be seen as a key technology for IoT applications. The same of course holds for connected cars. Radar and camera modules can supply data to intelligently analyse a traffic situation that assistant systems use to support the driver. Field bus systems in cars such as MOST, LIN, CN and FleyRay hereby network the systems in the car and ensure communication between the electronic components (sensors, actuators, control computers). The transfer of today’s bus and on-board vehicular systems into a secure, web-enabled communication platform is a focal point in connected car projects. Smartphones play an essential role acting as an interface to the internet, as well as the external antenna. 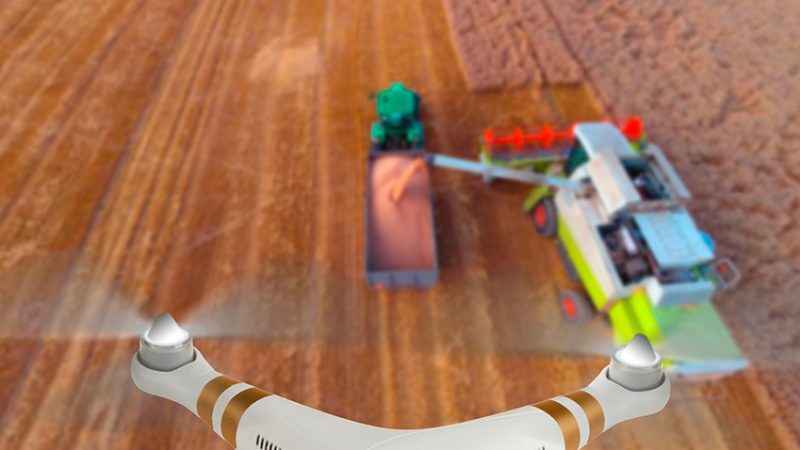 Latter mentioned is not only a little metal rod anymore but a smart device, using RF transmitter and receiver technology that enables mobile communication. 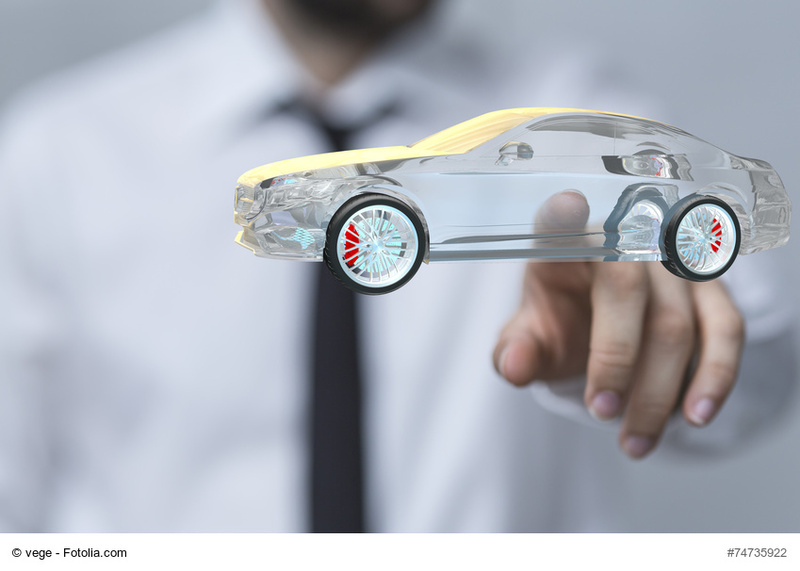 Because EBV has experience in all those above mentioned areas, we are able to provide in-depth advice and technical support when it comes to the development of products for connected car projects. We build bridges and help customers find their appropriate resources and specific expertise. Download our recently created whitepaper “Connected Cars – Solutions for the Car of the Future” and learn more about this strongly growing market. Feel also free to visit our dedicated website or contact us here for personal support.